When US infantry liberated Western Europe, they did so with the help of the Browning Automatic Rifle (BAR). Originally designed for one or two per squad, this weapon soon became a favorite among the troops and were widely distributed. 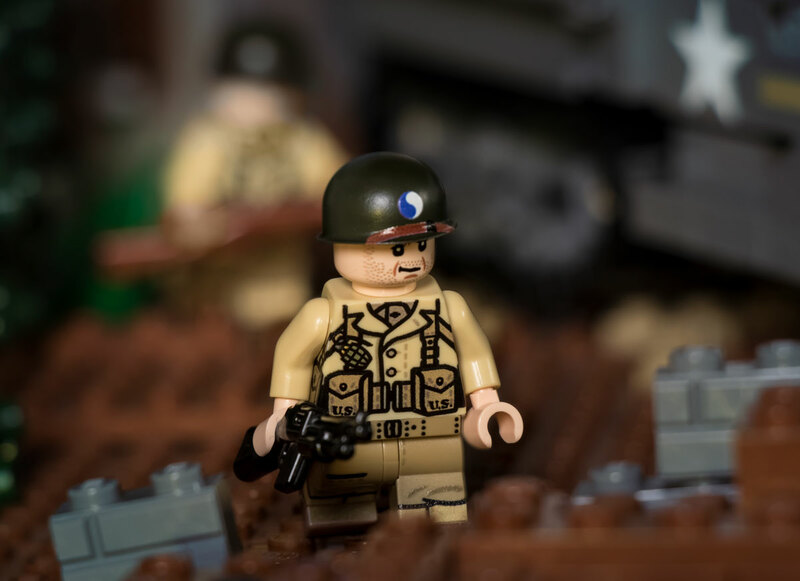 The WWII U.S. BAR Gunner is custom-printed by the talented Brickmania UV Print Team and designed by Lando!